Excellent and varied breakfast. 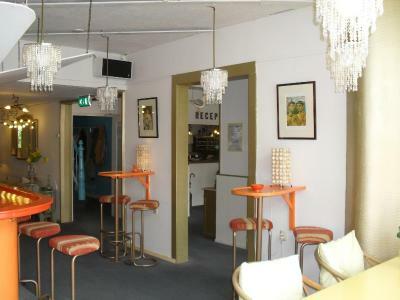 Spacious lounge and bar. Very helpful and polite service. 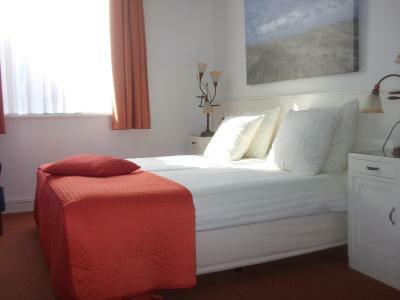 The staff was very helpful, the property had a lot of personalith, and the breakfast included made this a great deal. 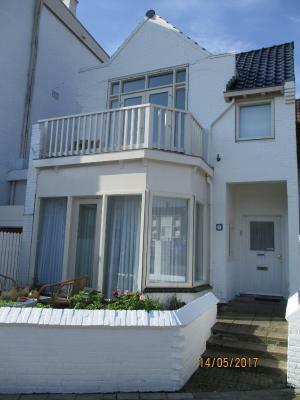 Only a block from the beach and also close to shops and cafes etc. Loved, loved it. I like the lesson I just learned. 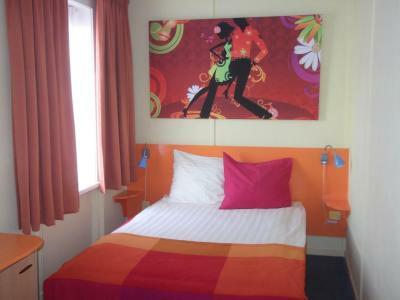 Before paying and the check in, ask to see the bedroom.... I was 21 days traveling in Europe, this was the only bad experience! 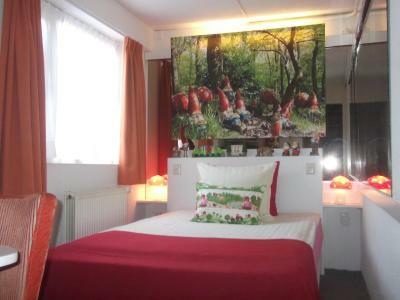 Clean, well maintained and peaceful location. 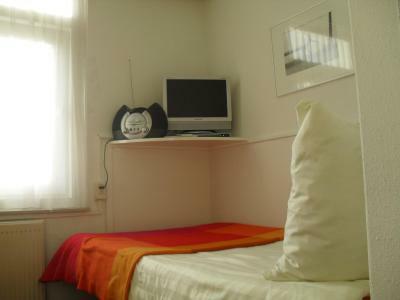 For the given budget, you would find this place an excellent stay, it does exceed expectations. The staff is welcoming. 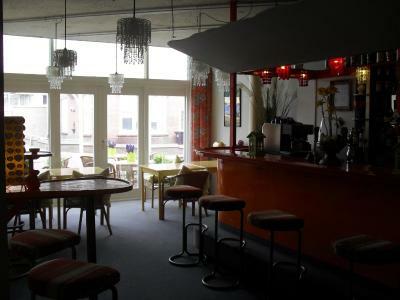 They have a reading room and a bar to chill out next to the main hall. 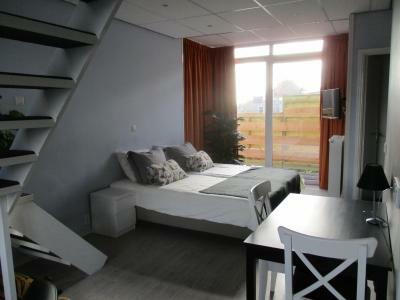 This place is 5 min.walk to the amazing beach! In all, a good place to stay over a weekend. Cute hotel about 500m from the beach. The staff were very friendly and accommodating. One gentleman even remembered me even though I had not stayed there in 4 years. Excellent breakfast, and cozy room. Well worth the price. + Good breakfast buffet, fresh coffee is brought to the table. Could be earlier at about 7:30 am. 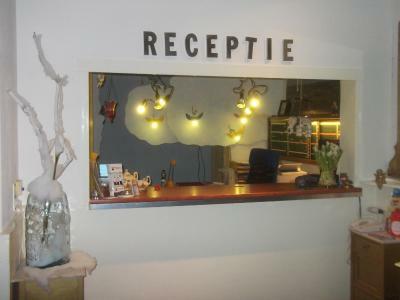 + Nice staff, the guy at the reception is very welcoming and just wants to keep a quiet surrounding for everyone. Big plus he is always there if someone needs him. 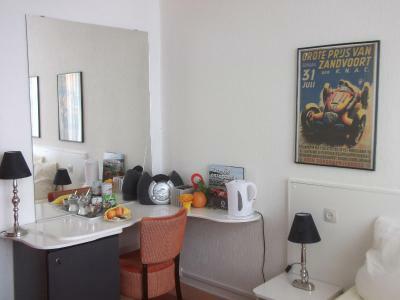 + Even in the single room there is a fridge which is not common for a hotel in Zandvoort. 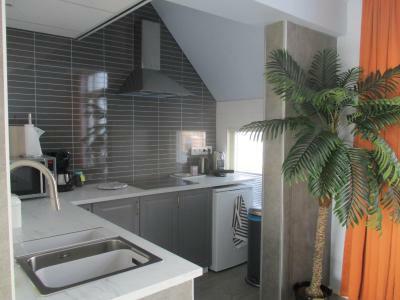 + The interieur needs a little bit getting used to but I love it. It is like coming home after a timeleap a few decades back. LOL. But all is kept clean and is just very special and outstanding. 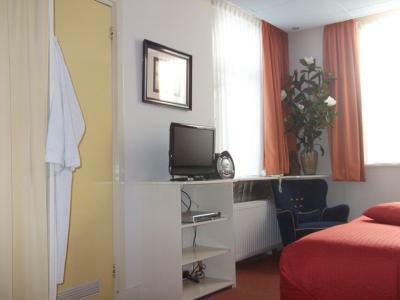 + Good WiFi on the room and in the breakfast area. + Particularly runt by two guys. No one is pushy, but just always there if you need someone. I like this big times. 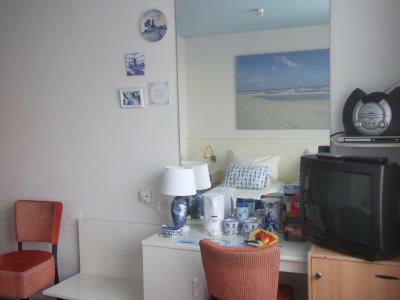 It's very close to the beach and the city centre. You have to leave your roomkey at the frontdesk so you'll never lose it and you don't have to carry it around. Great breakfast, not far from train station, very close to wonderful beach! Very many special details and decorations everywhere, library! I liked everything except the view. I wasn't so fond of having to pay for the minibar in the room. The wide variety of breakfast servings was very good. Thanks for proving that staff can be trusted, no personal belongings were missing or disturbed by staff. 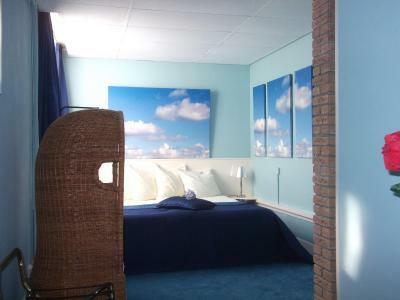 Hotel Hoogland Zandvoort aan Zee This rating is a reflection of how the property compares to the industry standard when it comes to price, facilities and services available. It's based on a self-evaluation by the property. Use this rating to help choose your stay! 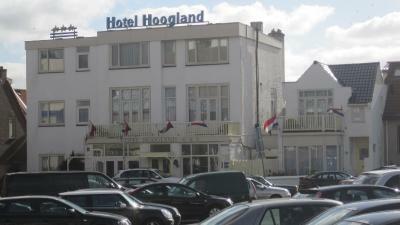 Hotel Hoogland, with its 30 rooms, is located two minutes from the beach, and 5 minutes from the town center. The perfect place for the discerning adult. Try the difference! 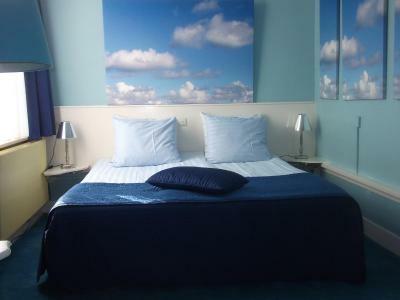 When would you like to stay at Hotel Hoogland Zandvoort aan Zee? 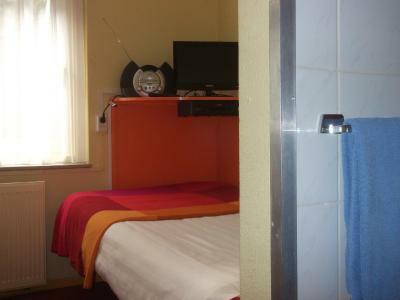 This room has a TV, a private bathroom with free toiletries and a hairdryer. This room has a TV with a DVD player. 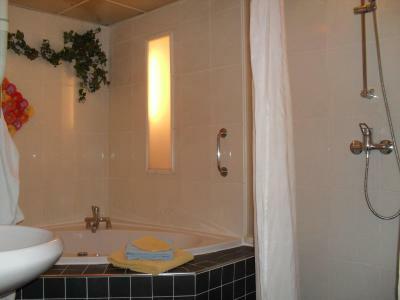 Its private bathroom has free toiletries and a hairdryer. 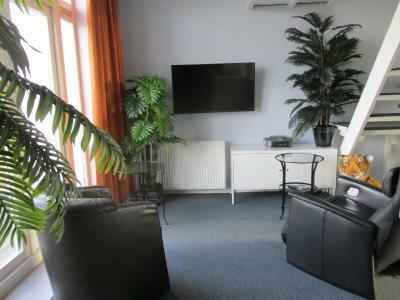 This room has a TV. 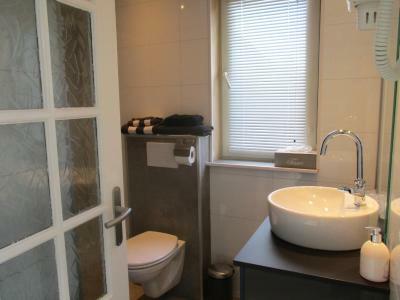 Its private bathroom has free toiletries and a hairdryer. 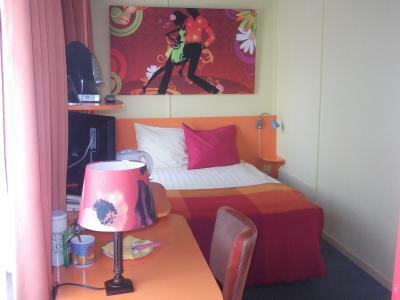 This room has a King size waterbed and Whirlpool. 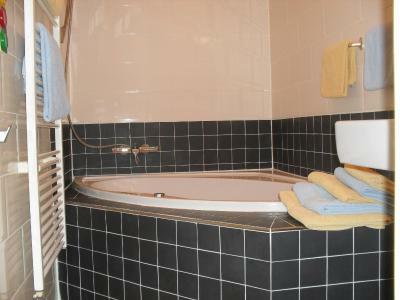 The bathroom contains a whirlpool with a separate shower. 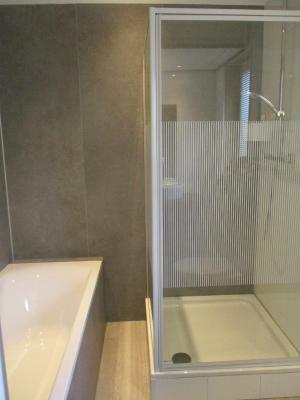 House Rules Hotel Hoogland Zandvoort aan Zee takes special requests – add in the next step! 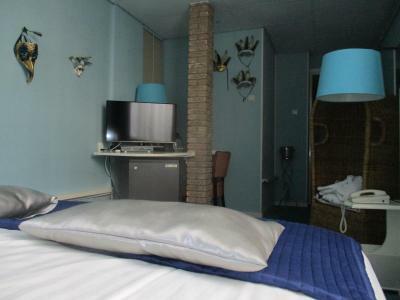 ATM card Debit card Hotel Hoogland Zandvoort aan Zee accepts these cards and reserves the right to temporarily hold an amount prior to arrival. 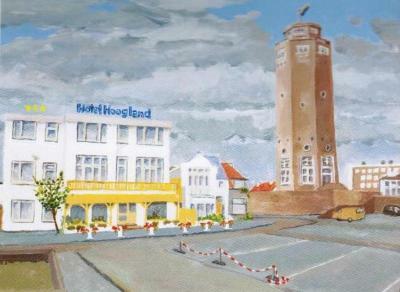 Hotel Hoogland Zandvoort aan Zee accepts these cards and reserves the right to temporarily hold an amount prior to arrival. Late check-in until 11 pm is only possible upon prior confirmation by the hotel. Contact details are stated in the booking confirmation. Very soft bed. A bit out-fashion hotel. 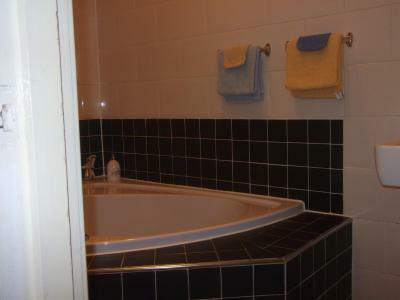 Very small rooms, weak water pressure in shower. We were wondering why was it called a surprise room? 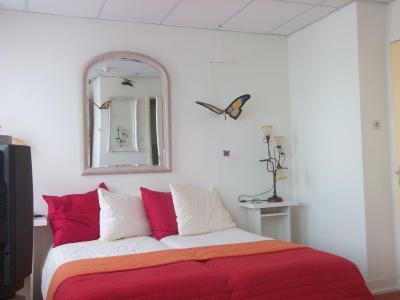 There were no surprises It was obvious that our room was entered into on a daily basis but no cleaning of changing of bed linen or towels was done, although it wasn't necessarily needed. This hotel its verry old, there is a very Bad smell in the hotel, old carpets ,and staff not friendly ,overall not a good expirience!! Avoid ,there is much better option in the city for same price. It's an older building, although they have excellent WiFi, you won't find any additional modern electronic devices. 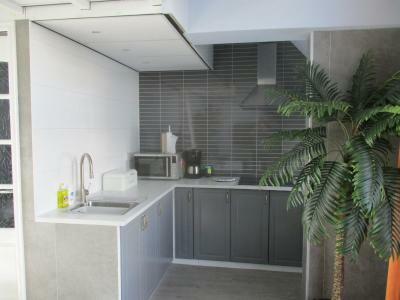 The walls are rather thin, so it can be kind of noisy. 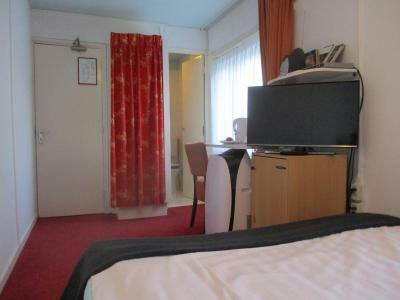 I really liked the hotel, it's cosy and they have an excellent staff. They're super help full and really know there way around town, they gave me a couple of excellent tips. I had a rather late check-in this wasn't a problem at all. You have your own watercooker with coffee a cup a soup or thee on your room. 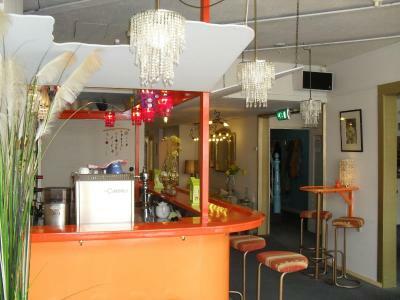 And although the furniture and decoration is rather odd. 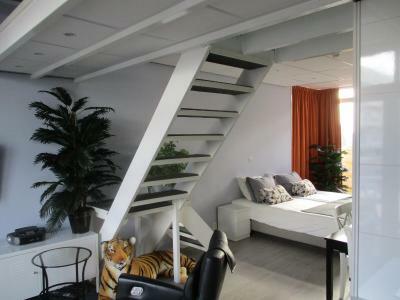 I really enjoyed the place, it's easy to find and they serve an excellent breakfast, If I'm ever back in Zandvoort I would definitely book again. The bed was too soft for my taste and definitely too narrow. 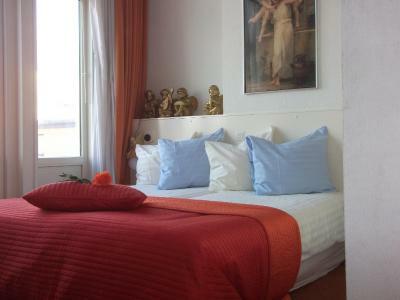 The room is big enough to host a better bed, which would certainly add to the comfort of the room. Great location. Personal touch in decoration provides an atmosphere that I like. 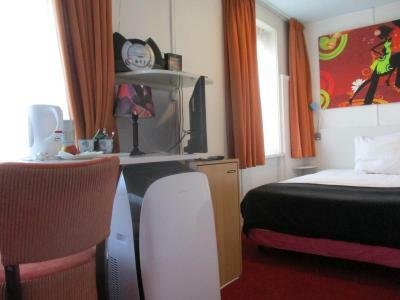 Spacious room, especially for a single room. Best filter coffee I ever had in any hotel anywhere (yes, that ís a huge compliment!!). 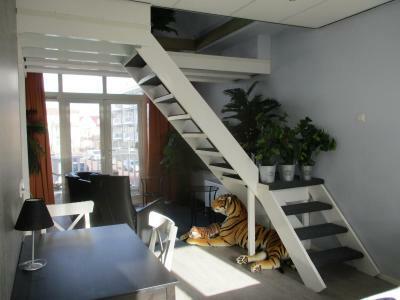 The entrance to the roof terrace is a huge asset of the room I stayed. Breakfast could have more hot dishes. 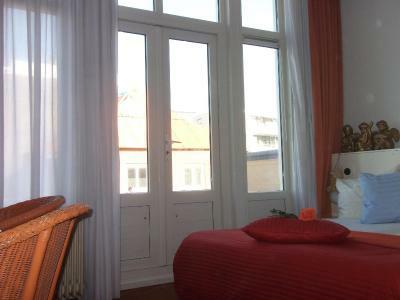 Nice breakfast with nice room very pleasant athmosfere. Great location. In that hotel you think that you are at home. 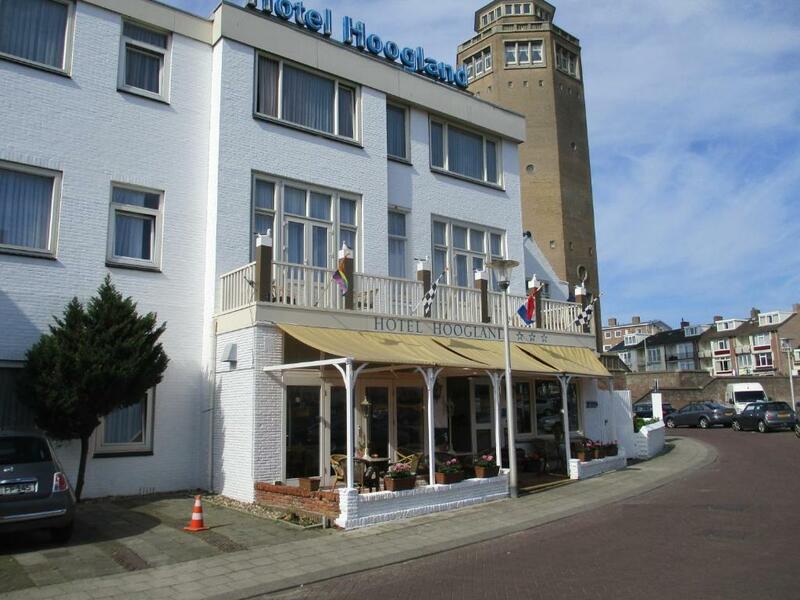 Our stay at Hotel Hoogland Zandvoort aan Zee was just perfect. To explain my high ratings for this hotel a little further: Before staying at the hotel I had checked out the photos and the reviews of the place. Thus, I was not surprised by what I found. 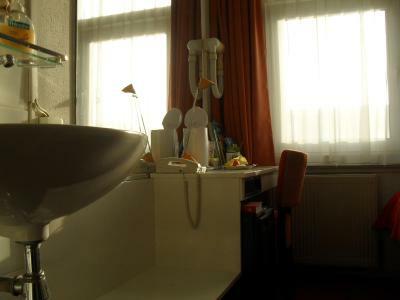 Yes the hotel is outdated, yes the bathroom was small, yes there was some wear and tear here and there in the room. 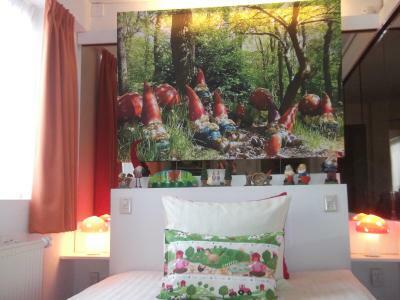 Yes I knew that by booking a surprise room I could expect something odd like a fairy or gnome themed room (luckily we got the Buddha room). So, knowing (almost) exactly what to expect, everything was absolutely excellent. The only thing that does not get the highest rating in this review is "comfort" because the beds were really too soft for me. But then again, I'm used to sleeping on a mattress as hard as wood, or maybe it was just my hangover. The guy at the reception was welcoming and friendly. People (in the reviews) who find his manners curt should keep in mind that this is Holland where all of us are rather direct, and that this guy has probably been doing this for years, seen everything, heard everything, knows the drill, so just chill and don't be offended by his apparent flippancy. Breakfast was just the best. All year round Easter themed, with everything one could wish for, with or without a hangover. The guy running the breakfast room could not have been more polite and friendly. Also great: check out is at 10:00, but breakfast is till 10:30, so no rushing there. 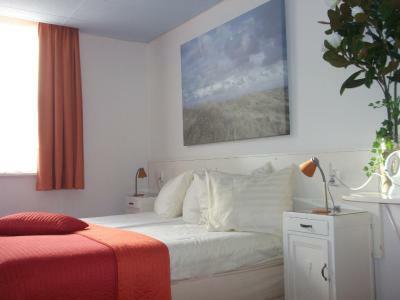 And price-wise: Hotels are expensive, especially in high-season, especially in high-season at the beach...deal with it. All in all, a great experience.